On a mission to experience more fine Pueblan tacos árabes, Carmen and I journeyed again to the Eastside for a tasty treat. 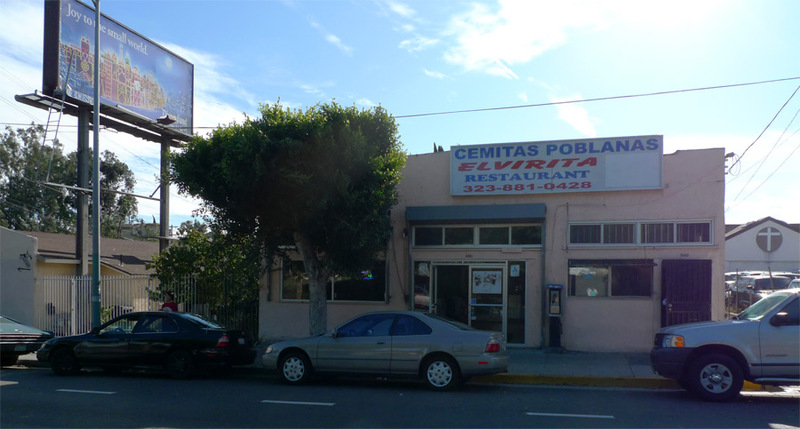 I liked Elviritas a lot – the small Boyle Heights restaurant has a breezy, tropical feel to its casual interior. The tacos árabes were not quite as good as those at La China Poblana, but they were still very good. Chunks of meat wrapped in a tortilla like a burrito. 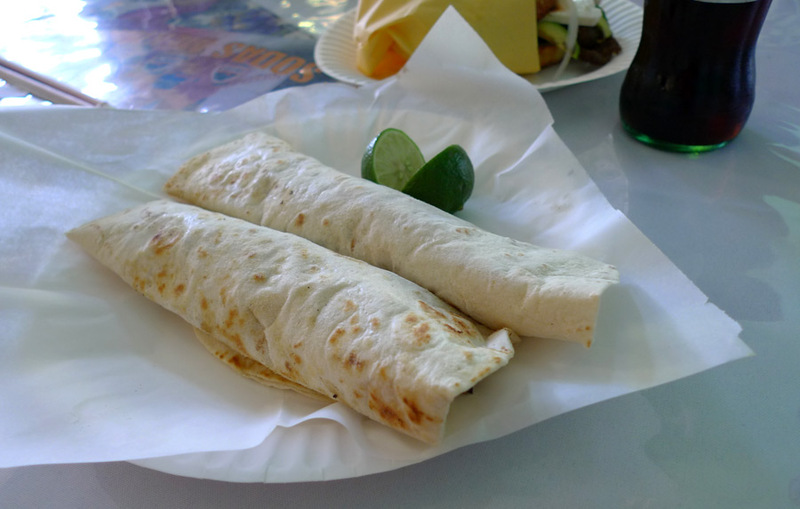 I am someone long accustomed to ordering foods “plain” and an enthusiast of the “all meat” burritos at old-school California Mex restaurants. I cannot go wrong with tacos árabes. The tortillas were beautifully turning golden-brown around their edges.